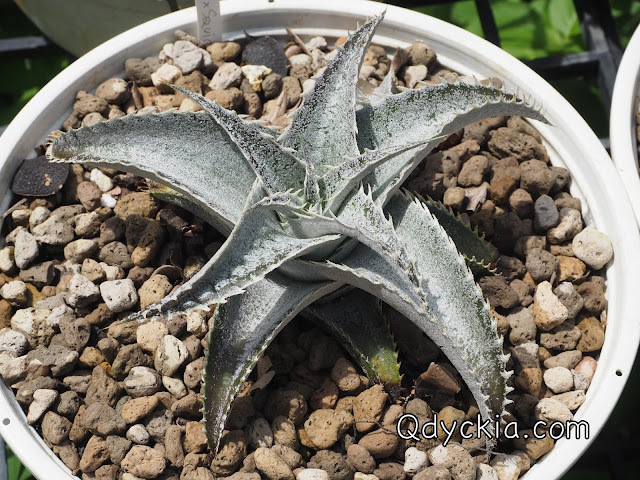 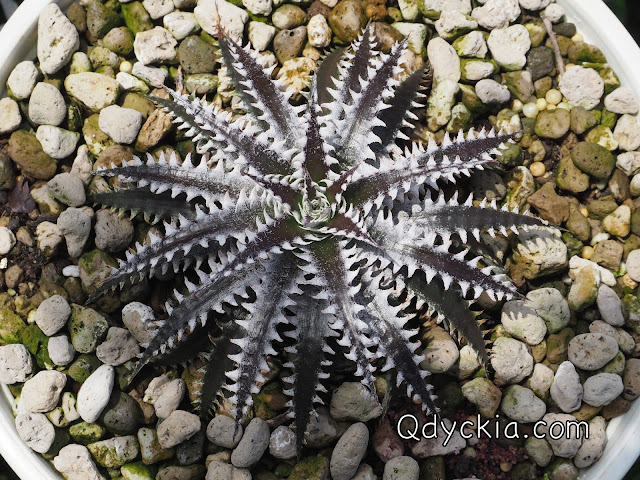 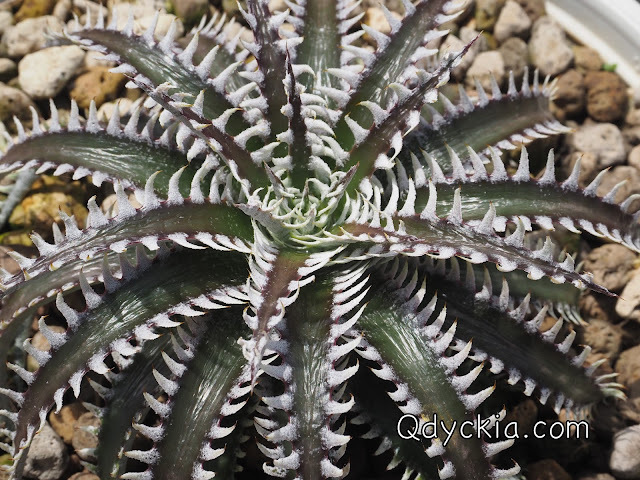 Good morning Sunday, just relax and see some Dyckia in my Garden. 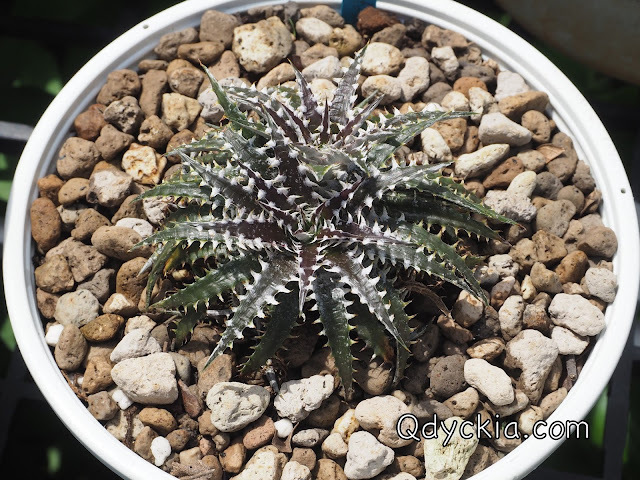 All are in the good shape now. Mostly time I keep grow all of my Hybrid fit in 4" pot then I re-pot them to bigger size pot so just try it. Dyckia Sawfish X Haven and Hell, lovely trichome. 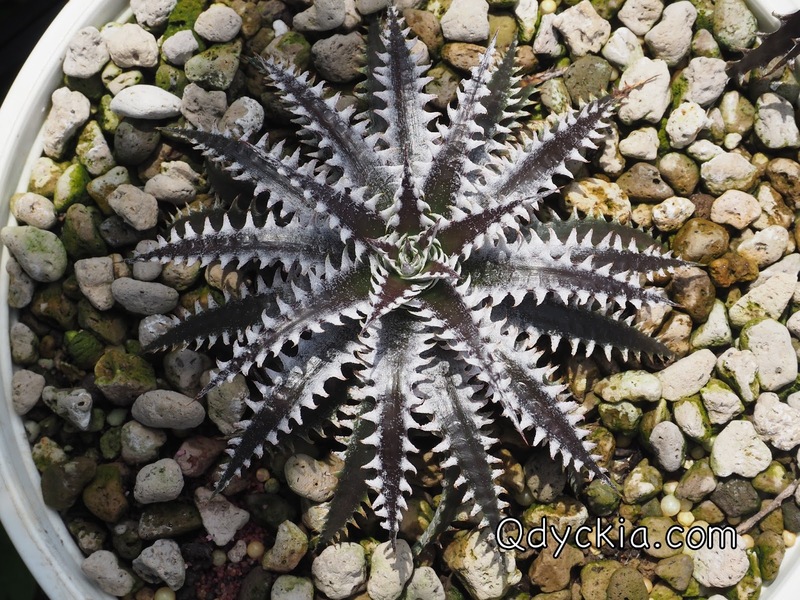 Dyckia Sawfish X Heaven and Hell, nice spine with beautiful trichome. 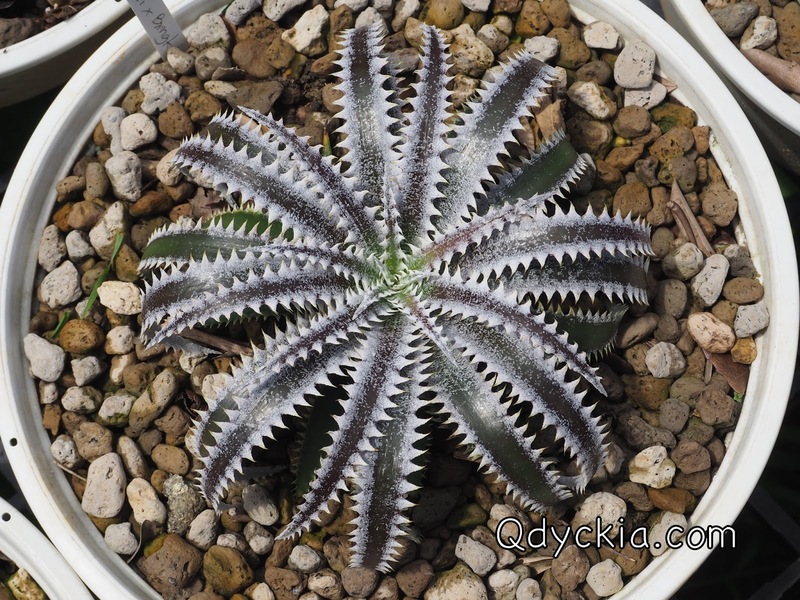 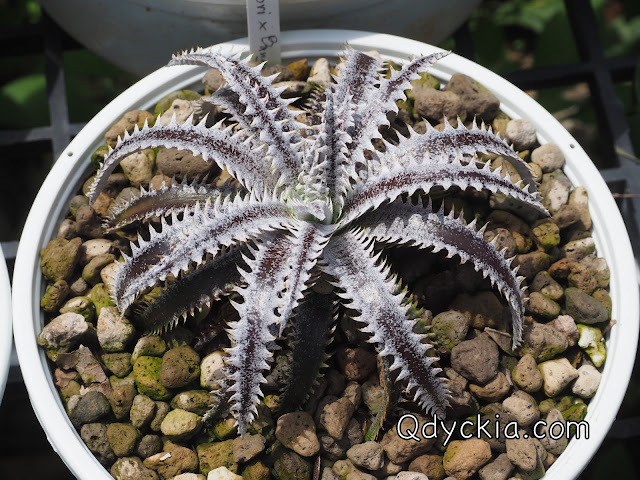 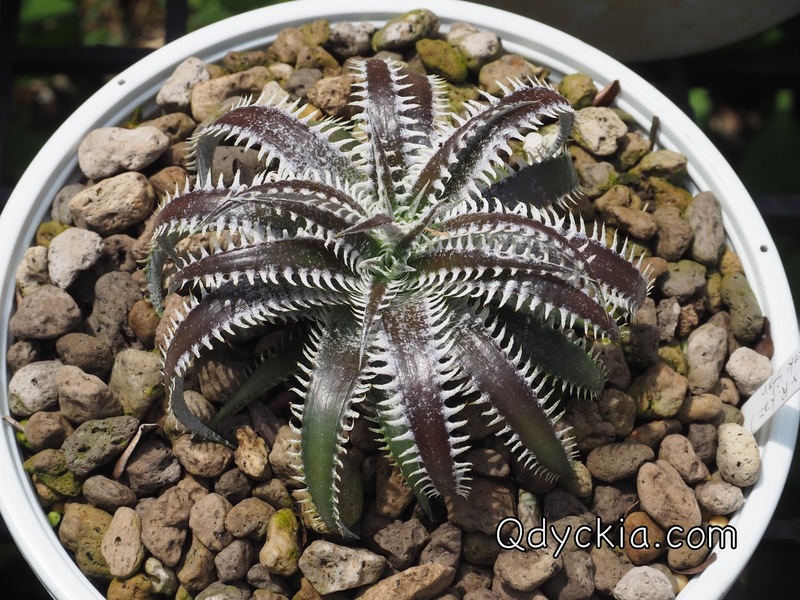 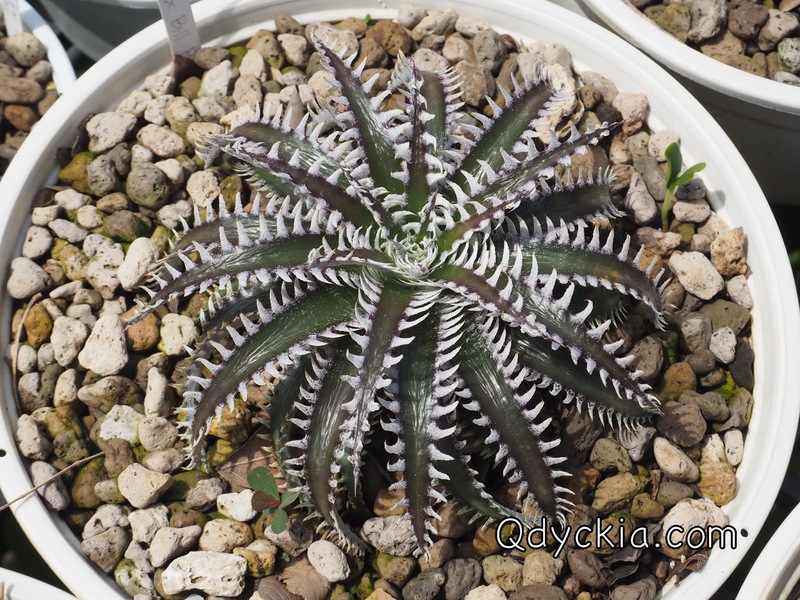 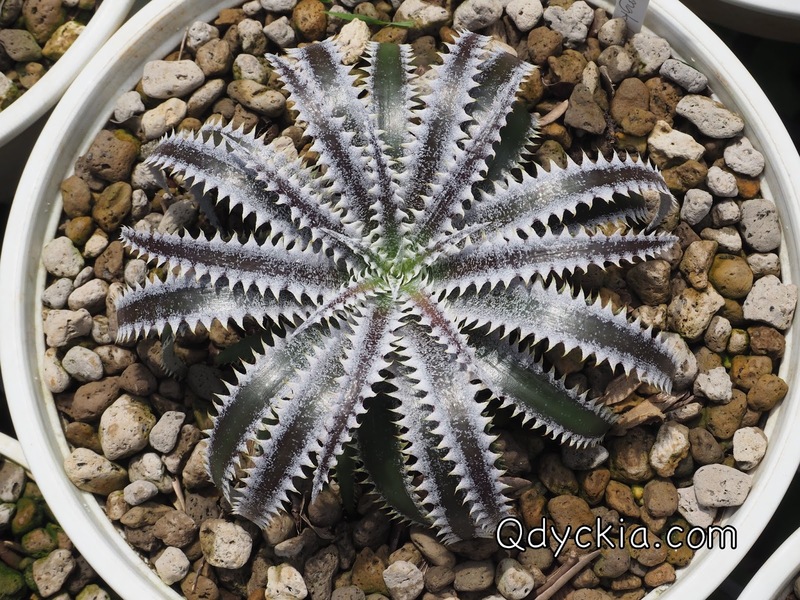 Dyckia ( Toothy X Richard Kaz ) X fosteriana seedling select clone, small but almost in the good form. 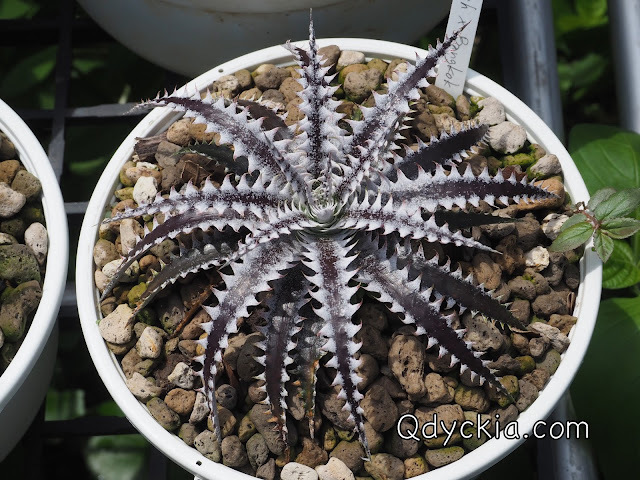 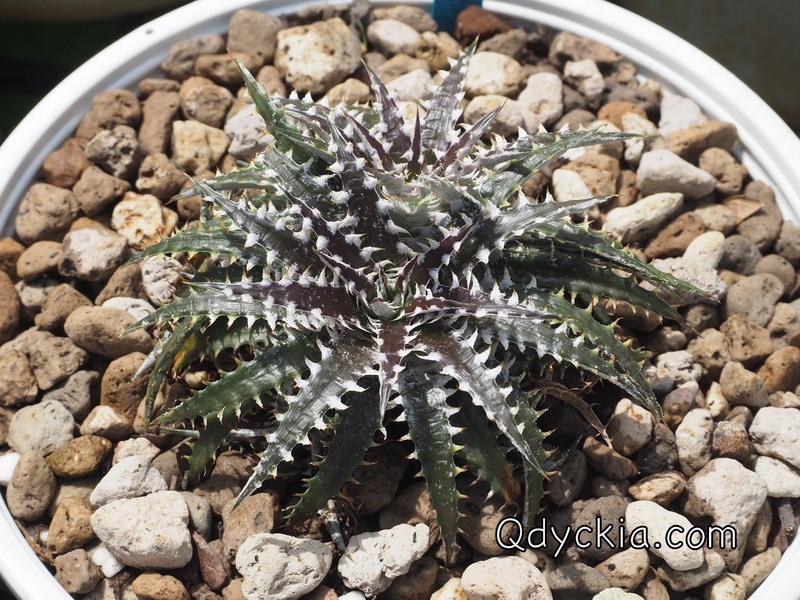 Dyckia Arizona original clone X Bangkok Star, one word " Perfect "
Very small plant with nice compact form. Dyckia 'Baphomet horns' cv. 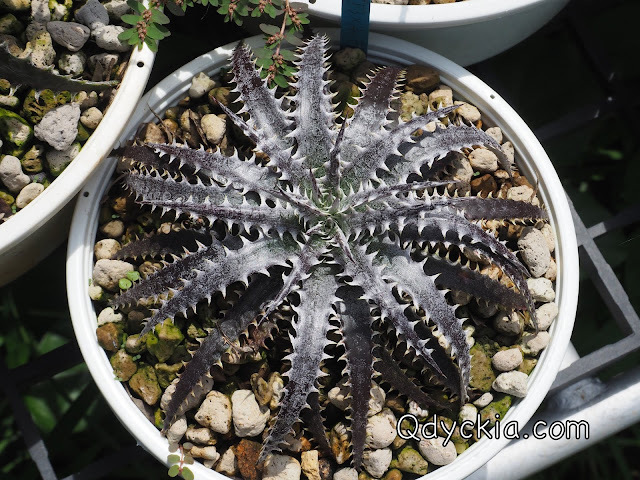 of marnier-lapostollei X Squid, nice wide leaf. 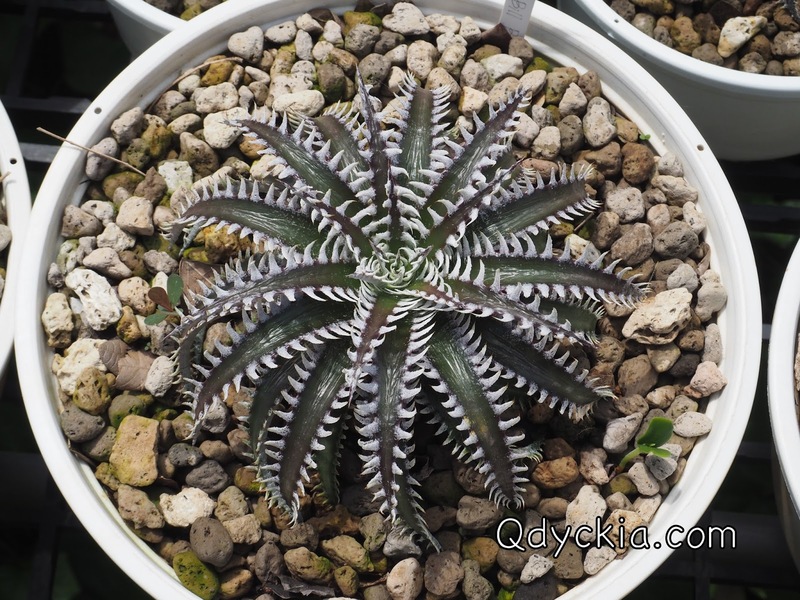 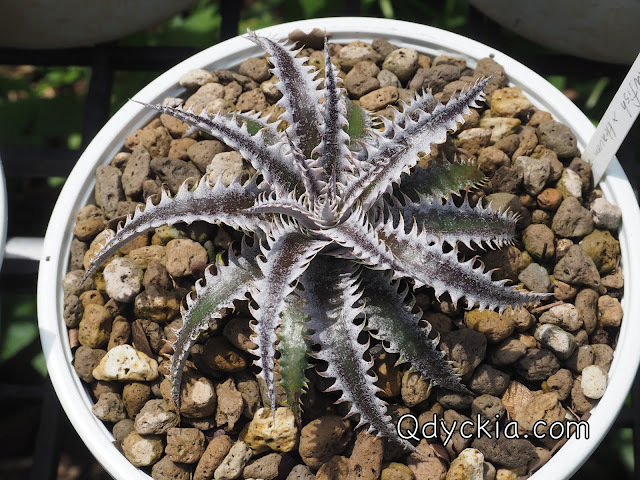 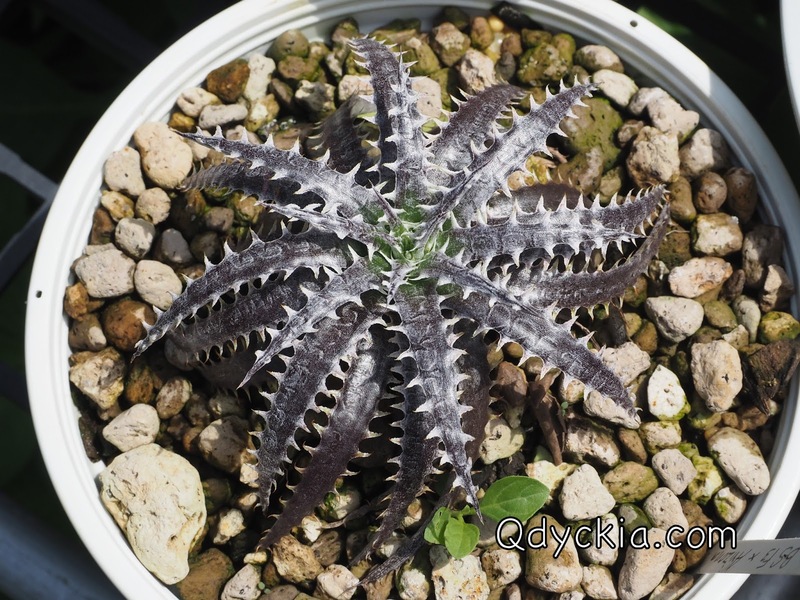 Dyckia Brittle Star F3 Reverse Spins X Arizona original clone, start to shine. 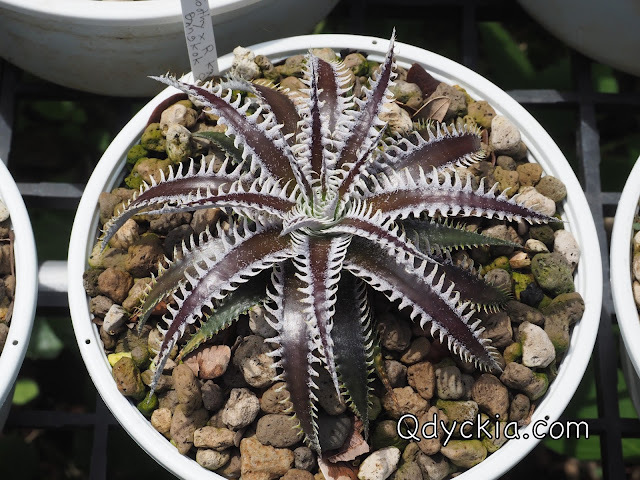 Dyckia Brittle Star F3 Reverse Spins X Zinfandel F2 # 8, just divide head but still nice.